removing dead cells on its surface. This product can also be transformed into a bio soap, which consists of embedding into the luffa sponge an all natural soap. For optimal growth conditions, cylindrical loofah needs a lot of light and heat, but excess water is not indicated. Conclusions: In a market that is moving increasingly towards more natural products, this product can prove to be a success. 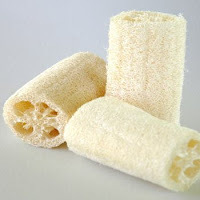 0 Response to "Natural bath sponge - growing luffa cylindrica"